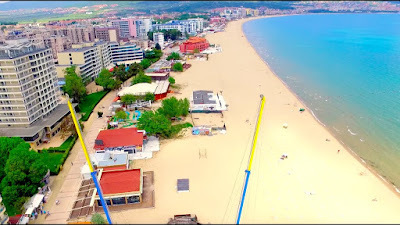 Sunny Beach is a resort on Bulgaria’s Black Sea coast. It’s known for its water sports, sand dunes and nightlife. Its waterfront is lined by a long sandy beach. Inland are a paintball park, a go-kart track and a water park many slides. The yacht marina at Sveti Vlas is to the northeast. To the south, the town of Nessebar has ancient ruins and an Archaeological Museum with millennia-old pottery and bronze vessels.